Winterization is a common preparation technique for homes and cars. But did you know that there is plumbing preparation for the spring? Homeowners tend to use more water in the spring and summer months than in the winter. Before you need a residential plumber in Alpharetta, it is important to heed the following tips while getting your plumbing ready for spring. 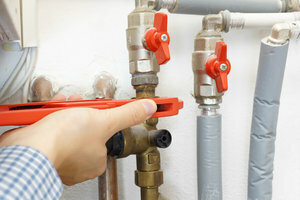 Conduct a thorough check of the plumbing system. Examine any exposed pipes for any cracks. Next, take a look at your faucets including hot and cold lines for pressure. Make sure the area around your septic tank doesn’t have any leaks or puddles. Leaks, cracks, puddles, and low pressure could indicate bigger problems that need the help of a professional. Flush your water heater. It is important to drain the tank to remove any buildup from the winter months. While this may seem like a daunting task, we have trained technicians that can perform this task and show you how to do it in the future. You may also want to adjust the water temperature if you raised it during the winter. Many home owners like to take hotter showers during that time versus the spring. Conduct a toilet check. Put food coloring in the tank and check to see if it bleeds into the bowl without being flushed. If it does, you have a leak. This can cause a rise in your water bill and an irritating noise. It’s important to give this test to all of the toilets in your home whether they are new or old. Be proactive about yard work. Begin by raking your yard to remove leaves and debris that could clog outdoor drains and sewers. You may also want to have your gutters checked and cleaned as well. All it takes is for a good rain to come in and flood your entire plumbing system, causing damage to your home. Test your sump pump. Similar to the water heater, this may seem like a complicated and arduous task to complete on your own. Contact us to watch a skilled plumber fill and drain your sump pump for accuracy. After all the best surprise is no surprise at all.